CHITRAL: Swat’s Marghuzar Valley has come back to life after the hill station received its first winter snow on Thursday morning. One of Swat’s popular tourist attractions, the hill station’s name translates to ‘green land’ in the vernacular. On the contrary, today one can hardly spot a green patch in the valley thanks to the incoming snowstorm, much to the delight of tourists and the misery of locals. “We come here every year to witness the snowfall and have the time of our lives,” said Summaiya, a grade six student from Rahimabad, Mingora. 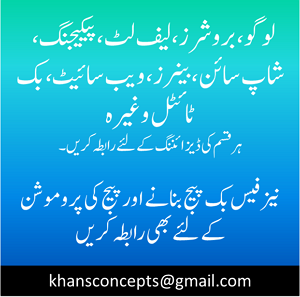 Only 16 kilometres separate Swat’s largest city and the hill station, thus making it easily accessible to the residents of Mingora and surrounding suburbs. 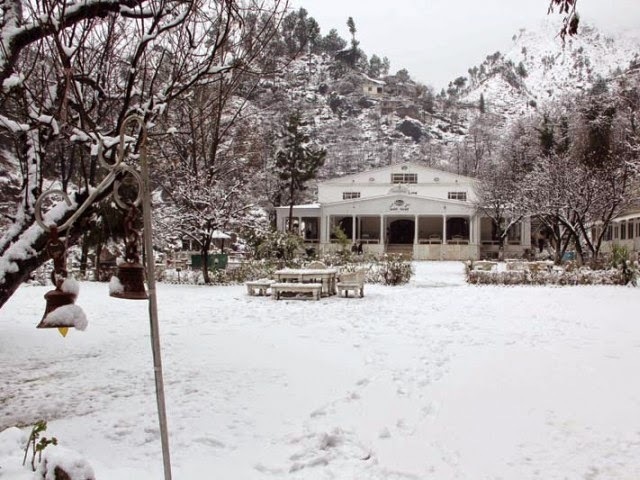 Marghuzar is home to the famous White Palace built by the Wali of Swat in 1940. “The valley is only an hour’s drive away from our home,” Junaid Khan, a lawyer from Saidu Sharif, told The Express Tribune. 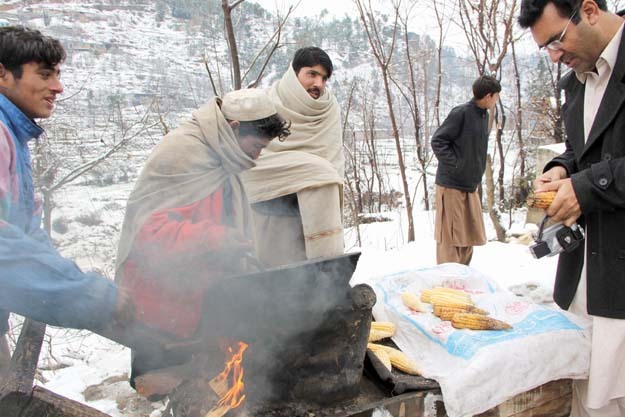 While describing spinoffs the pleasant weather brings along, Ahmad Khan, a resident of Marghuzar, said the freezing temperature makes survival even more difficult. On the flipside, not all locals are irked by this intrusion of visitors. Snowstorms mean business for resort and restaurant owners who make the most of the opportunity. Rain and snow continued to fall in Chitral district on Thursday, forcing a complete closure of Lowari top. The storm led to closure of the route that connects the landlocked district to the rest of the country, while the under-construction Lowari tunnel is already off limits. The district administration has installed signboards and banners at various spots in Dorsh, asking commuters to head to the tunnel only on the designated days of the week. The construction has drawn the ire of locals who remain cut-off from the rest of the country for five days a week. 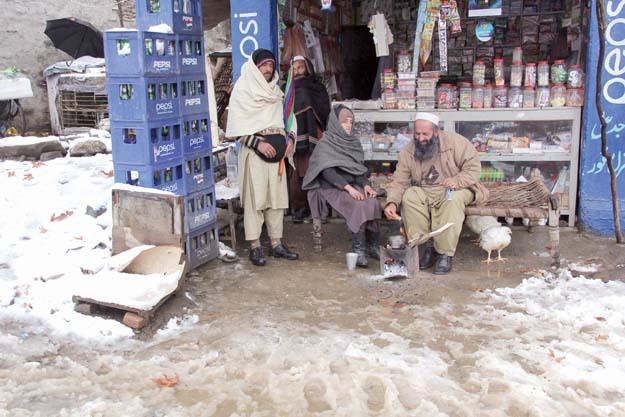 As urban areas of lower Chitral receive heavy showers, Khot, Tirich, Garam Chashma and Kalash in the north witness snowfall. 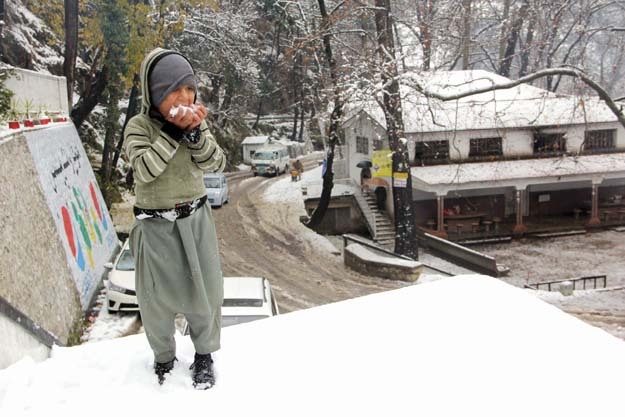 Meanwhile, Yarkhun, Mastuj and Laspur valleys are yet to receive their first winter snow. Firewood has become a rare commodity as plummeting temperatures fuel demand. Locals bear witness to the change in weather patterns as the duration of dry spells has increased significantly as compared to yesteryears. As of now rainfall has visibly delighted the residents of arid areas of the district, including Morkhow, Orghoch, Kesu and Lawi. Their crops have been watered by the visiting clouds.